Endangered species are even available at captive hunts. Several species of threatened and endangered animals are regularly advertised at captive hunting ranches. For example, the International Union for the Conservations of Nature and Natural Resources lists the scimitar-horned oryx and Pere David's deer as extinct in the wild; the Dama gazelle and the addax as critically endangered; the Arabian oryx and markhor as endangered; the blackbuck and bongo as near threatened; and the Nubian ibex, aoudad, barasingha, mouflon, yak and European bison as vulnerable. Although the Endangered Species Act (ESA) protects animals listed as endangered or threatened, captive hunt enthusiasts exploit loopholes in federal law that allow captive-bred wildlife to be killed if permitted by state law. This creates a market for endangered species’ trophies, and can encourage illegal poaching of the animals in their native habitat. Issuing permits to shoot endangered species on these ranches contradicts the basic purposes of the ESA, which is to conserve endangered and threatened wildlife – not kill them. Due to the high population densities on captive hunts, risk of disease transmission increases, posing a threat to animals inside and outside the fences. And it is doubtful that those involved in the captive hunting business provide acceptable veterinary care for their animals. Diseases such as tuberculosis and brucellosis—which can also infect farm animals and other wildlife—have been diagnosed in captive wildlife. Michigan battled an outbreak of tuberculosis among deer a few years ago due to baiting, which encourages animals to congregate in small areas. Chronic wasting disease, a fatal disease that infects deer, elk, and moose, is another serious concern. CWD has been reported in 19 states; in 11 of these states CWD was present in captive wildlife populations. In 2011, new cases of CWD have been reported in South Dakota, Illinois, West Virginia, Minnesota, Maryland, Nebraska, and Kansas. 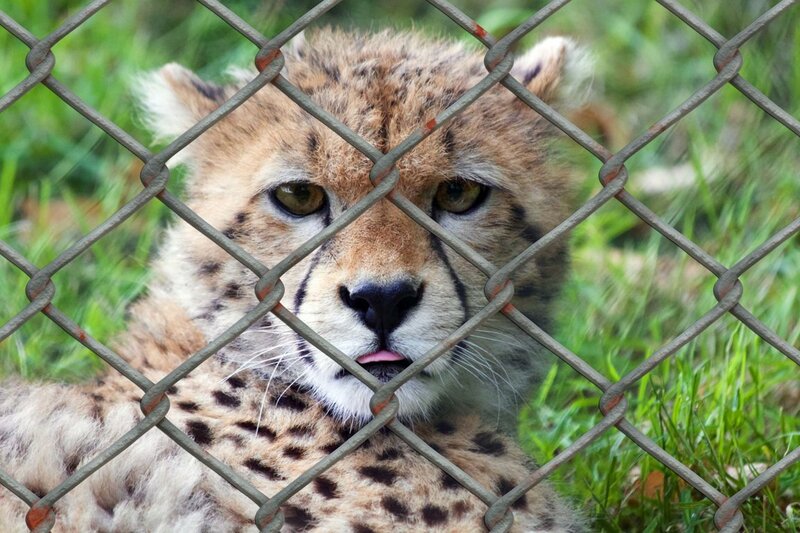 Although there must legally be fencing around captive hunts, animals often can and sometimes do escape from these facilities. Since 2007, there have been 48 instances of elk escaping from captive facilities in Iowa alone. In Wisconsin, captive facilities reported 437 escapes from 2004 to 2007. The interstate transport of animals for breeding purposes increases the possibility of spreading these diseases even further. Once present, CWD becomes increasingly difficult to control, and attempts to halt the disease can cost taxpayers millions of dollars. Through escaped animals, fence-line transmission, or environmental contamination, game farms and captive hunting ranches are putting our wild herds at grave risk. Do all hunters support captive hunting? No. As hunter and noted author Ted Kerasote puts it, "'Canned hunting' is a misnomer. More accurately defined as 'shooting animals in small enclosures,' the activity has nothing to do with the motives that inform authentic hunting: procuring healthy, organic food; participating in the timeless cycles of birth, death, and nurturing; honoring the lives that support us; and reconnecting with wildness. No matter where one stands on hunting—vehemently opposed to it or seeing it as yet another way to live sustainably on earth—one ought to decry shooting animals behind fences."